Our company has been in the wholesale business of tropical fish for 27 years. We export our tropical fish to the wholesalers in almost all countries in Europe as well as Japan, Hong Kong, Taiwan and the United States. European deliveries are by heat-insulated trucks and distant exports are via air cargo from Prague International Airport. Our tropical fish come from over 1000 breeders across the Czech Republic. All tropical aquarium fish are aquarium raised by professionals who know their work to ensure outstanding quality and health in their small aquatic farms. 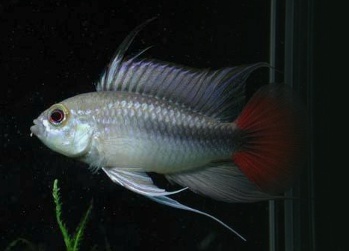 Since we deal as a wholesaler with an enormous number of Czech breeders we can supply about 1000 different species of fish including 180 assorted Apistogramma species in a variety of sizes, Angel fish (including yellow head, red and black), 200 species of Malawi and Tanganjika fish, West African Cichlids, Tetras, Barbs, Rainbow Fish, Killifish and many others. Our stocklist of tropical fish is updated with new availability weekly. Dwarf Cichlids and Killifish can be shipped as pairs. Orders are taken Monday thru Thursday for delivery or shipment the following week. The stocklist is available on our website and you can receive our pricelist on request to us. Our packing is in a top quality, thick walled styrofoam boxes 59x39x39 cm which hold 10-12 bags of fish and will weigh about 15-16 kg. Please feel free to contact us with any further questions or requests.